The Toyota Sienna is one of the nation’s favorite minivans, and for good reason! The Sienna boasts an impressive performance, family-friendly features, and a spacious cabin. But the Toyota Sienna safety features just may shine the brightest of all. The latest model integrates smart technology like the Toyota Safety Sense™ P system, along with options like the Safety Connect bundle for emergencies. But exactly what do these high-tech systems entail? We’re happy to show you! 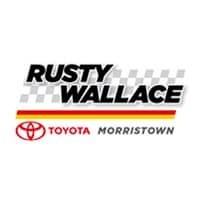 Before you head down for your test drive, feel free to read about our favorite Toyota Sienna safety features from Rusty Wallace Toyota! This cutting-edge system monitors for pedestrians or obstacles in the road. If something is detected, your Sienna will sound an alert or even hit the brakes. A built-in camera scans the road to ensure that you remain safely within the road markers, preventing the vehicle from drifting into another lane. No need to fuss with lights during a nighttime drive. This system takes care of it for you, toggling between high and low beams automatically. Using both radar and camera monitors, this technology ensures that you maintain a safe distance between other cars on the road at all times. Sure, the Toyota Sienna safety features include all the basics that you’d expect – along with a whole lot more. You’ll get an advanced airbag system, four LATCH locations for child safety seats, Tire Pressure Monitoring System, and others. You’ll get the Star Safety System to optimize handling with features like Enhanced Vehicle Stability Control, Brake Assist, and the Anti-lock Brake System. But the latest Sienna goes above and beyond expectations with its state-of-the-art technology. 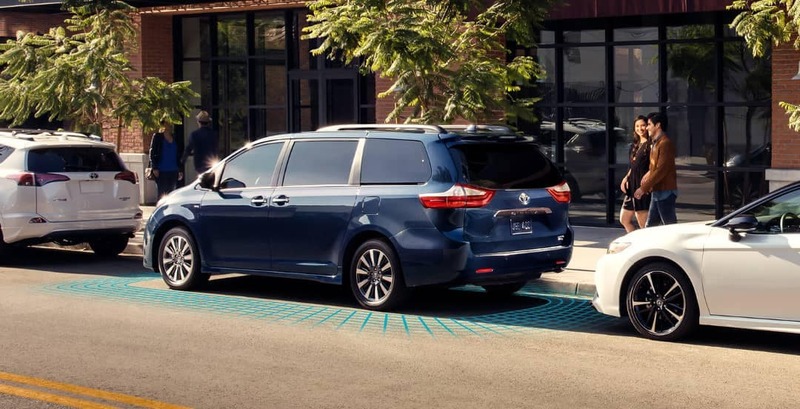 The Toyota Safety Sense™ P system is standard, so anyone can take advantage of driver assistive features like Dynamic Radar Cruise Control and Lane Departure Alert. But all models also include Safety Connect for emergencies. This bundle of safety systems includes Emergency Assistance, Stolen Vehicle Locator, and Roadside Assistance. No wonder the Toyota Sienna reviews have been so stellar!